Val Chmerkovskiy and girlfriend Jenna Johnson get close in this cute new pic from Instagram. The cute couple got all glammed up for the Jump Jive And Thrive event on Sunday night (October 8), where they reunited with Val‘s former DWTS partner, Laurie Hernandez. The event, where Lindsey Stirling performed, was an evening of gymnastics, dance and music to celebrate cancer THRIVERSHIP, highlighting the power and magnitude of the human spirit. Mark Ballas, his wife BC Jean, and boy band In Real Life were also at the event. 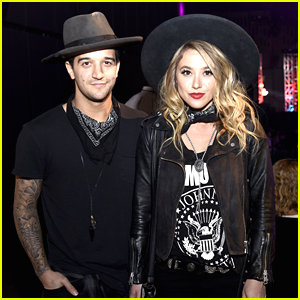 Mark Ballas & BC Jean Wed In California Wedding! 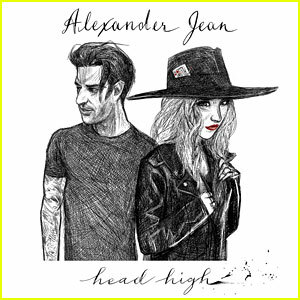 Congrats to Mark Ballas and BC Jean! The longtime couple just tied the knot this afternoon in a private ceremony in Malibu, ET reports. Along with Derek Hough, as the best man, other DWTS pros came out to be a part of the ceremony including Julianne Hough, Jenna Johnson, Sharna Burgess and newly engaged couple Emma Slater and Sasha Farber. 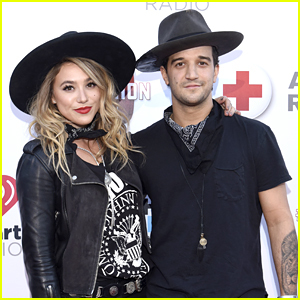 DWTS' Mark Ballas & BC Jean Are Getting Married Today! Mark Ballas‘ wedding totally snuck up on us! The Broadway star and former Dancing With The Stars pro is set to wed his longtime girlfriend, BC Jean, TODAY! It was confirmed that Mark and BC became engaged during Thanksgiving last year. “Knowing that I am going to spend the rest of my days with BC gives me more comfort than any thing else ever could, she is the best thing that has ever happened to me and I can’t wait for our life ahead,” Mark had written to BC on his Instagram. You can read more about his proposal now on JJJ! Mark Ballas holds hands with fiance BC Jean while they grab a bite to eat at Toast on Tuesday afternoon (May 24) in Hollywood. The Dancing With the Stars pro turned 30 years old that day. Happy birthday, Mark! “thanks mum for completely embarrassing me on my 30th on facebook… Love you so much tho.. You’re the best mother a son could ask for..” he captioned an Instagram photo, which you can see below. Mark is set to compete in the DWTS finale later that night.